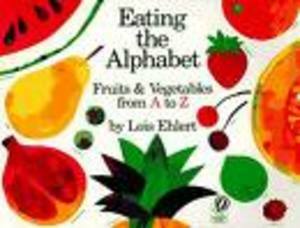 Eating the Alphabet is a great springboard for learning about fruits and vegetables: different types, textures, tastes, colors, etc. Take the book with you on a trip to the grocery store, and go on a scavenger hunt. See how many fruits and vegetables your child can find in the produce section. Buy two foods from the book that your child has never eaten before. Then eat and enjoy! Talk about the taste, texture, color, feel, smell, etc. Name a color, and have your child find as many fruits and vegetables in your garden, refrigerator, or store that are that color. Gather several foods from the book. Have your child sort, or classify, the foods and explain how they sorted. Or, give them a way to sort, such as put all of the soft foods in one group, and the hard foods in the other group. Or, yellow foods in one, green in the other, etc. What food activities did you and your child come up with? Today, after you read Eating the Alphabet, try one of these activities with your child. They would probably work best with your child if he is 4 or older. Even then, you would likely have to talk them through the activity. But, it is worth the effort, since you never know when your child is ready to learn something. 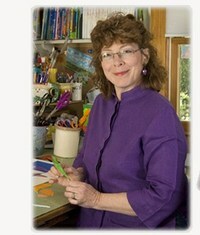 On index cards, print in large print five of your child's favorite foods from the book. Put one word per card, and make sure each card has a food from a different letter's page. Help your child lay the cards on the table in alphabetical order. Help them by showing how the book goes from A to Z. Also, saying the alphabet with them or writing the alphabet out for them helps. If your child easily completes the above activity, repeat it using the words all from one letter of the alphabet. Name a food from the book, making sure it is one with a common English pronunciation, and have them try to find it in the book. Emphasize that they should figure out the beginning sound and look on the corresponding page to find the answer more quickly. Give your child a few index cards or pieces of paper. Have them draw a picture of a food(not necessarily a fruit or vegetable) they like on each piece of paper. When they are done, ask them to bookmark pages in Eating the Alphabet using their pictures. They should bookmark them according to beginning sounds. For instance, if your child drew a picture of cake, they would put it in the Cc page. Then, help them write the letter or the name of the food on their picture. Put your own letter idea here, and then let us know what it is! Specifically point out and talk about the letters with your child. Point out the upper and lowercase letters. Read it from front to back, although you do not need to read or talk about every picture. Stop where it makes sense for you and your child. For example, last night I was reading the book to Josh(5) and Megan(2). The letter Cc pages have the following foods: currant, corn, celery, cucumber, cabbage, cherry, carrot, and cauliflower. I asked my kids, " Which foods did we grow in our garden this year?" Josh pointed out the cucumber and cabbage, but he called it lettuce. I answered, "Yes, we did grow cucumbers, and we grew lettuce, but lettuce begins with the letter l, not c. This is a picture of cabbage. What else did YOU grow in your part of the garden, Josh?" Then he answered, "Carrots!" Megan had trouble answering this question. If I had been reading just with her, I would have answered my own question, and then ask her some new questions, "Which foods here do you like to eat?" or " Which vegetable here is orange?" Each letter is printed in a VERY large font, in both an uppercase and lowercase form. Bright, clear illustrations of fruits and vegetables. Oftentimes, more than one food is listed for each letter. Both common and uncommon fruits and vegetables are included. Each picture is labeled with a word printed in all uppercase letters and in all lowercase letters. This is important so children get familiar with different ways of writing the same letter. In the hardcover book, she lists each food from the book, along with a pronounciation and a brief description of the food. This is very helpful, as I can almost guarantee there will be some fruits and vegetables that are new to you. Although the board book does not have the extra information at the end, it is a good book to keep around for your child to look at on their own. But watch out, they just might take a bite out of it! :) My board book does have bite marks in it. My nephew took a bite of the book many years ago. It is a well loved book. Tonight when you read the book with your child, take some time to look through it with your child, and not necessarily in order. For instance, when I talked about the cover picture tonight with my children, I said," Look. There's a pear. I like pears, and I know you do too. Do you like your pears yellow and soft, or green and crunchy?" Both Josh and Megan said, "Green and crunchy." I said, " I like them yellow and soft, because they are sweet and juicy. What else in this picture do you like to eat?" Talking with your child while looking at a book builds vocabulary. If your child notices the letters and comments on them you can talk about them like I did with my kids tonight because Megan noticed them. But, otherwise, during the first time through this book, just talk about what you see, and let your child ask questions about what she sees. Tomorrow I will give other ideas for using this book(including the letters and words). I am having so much fun sharing ideas from lots of fun Halloween and Autumn books! 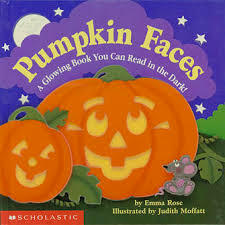 What are some of your child's favorite Autumn, Halloween, or Thanksgiving books? For those of you that do not live in the USA, what are some Autumn holidays that your country celebrates? While we are talking about holidays, what are some of your child's favorite Christmas or winter books? I would love to write about some of your favorites when winter comes. 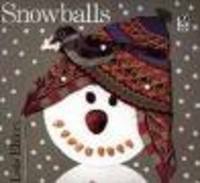 I know a few gems I plan on blogging about: The Snowy Day by Ezra Jack Keats, Snowballs by Lois Ehlert, and some of Jan Brett's winter themed books. The Berenstain Bears and the Spooky Old Tree(Random House, 1978) is a book found in the Bright and Early Books for Beginning Readers series. Three little bears, armed with a flashlight, stick, and rope, go to check out a spooky tree. THE STORY is brief and funny, THE WORDS are few and easy, and have a happy, catchy rhythm. THE PICTURES are clear and colorful clues to the text. As a former first grade teacher and reading teacher, I can say this is an accurate description of this book series. If any of you have a child who is a beginning reader, these books are great for reading practice. Sometimes what works best with a new reader is to take turns reading in a book. You read one page, he reads the next; or he reads the first half, and you finish reading the story, etc. If your child struggles with a word, encourage him to look at the pictures, along with clues of sounds or word parts from the unknown word, to figure it out. And, by all means, always keep reading to your child, even once he can read books! Reading books a little bit above reading level encourages vocabulary growth, which in turn helps with reading comprehension when he does read by himself. 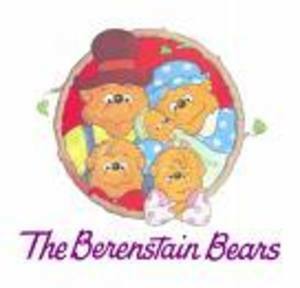 In The Berenstain Bears go on a Ghost Walk, silly Papa Bear helps his little bears decorate their school for the spooky Halloween Ghost Walk. In usual childlike, excited Papa Bear fashion, he dives into the planning with great enthusiasm. He talks in such scary ways, Mama Bear keeps telling him the cubs will get nightmares. In the end, HE is the bear getting nightmares from his own scares! economy sized- i.e. : "Josh, do you remember last week when we bought your favorite fruit snacks? It was a huge box, and it cost less per fruit snack. That was an economy sized box of fruit snacks." festooned- "Festooned means to do lots of decorating. The books says that they festooned the whole school with cobwebs. That is like our window right now. 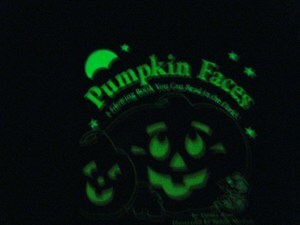 It is festooned with Halloween decorations." corridors- "In the book, they hung skeletons, bats, ghosts, and cats in the corridors of their school. Corridors are hallways. I know that in your school corridor, Josh, you have coat hooks and a display of books near the office. What else is in the corridor, or hallways, of your school?" misshapen- "Let's read the sentence from the book again to figure out what misshapen means. Don't you have any weird misshapen ones?" 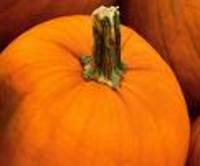 (referring to the pumpkins in the pumpkin patch) Allow your child to make a guess. Then, turn the page to find the correct answer in the picture. Then say, "See, these pumpkins are not all smooth and round. Misshapen must mean the pumpkin is in a shape that most pumpkins are not. Papa Bear thinks that is spooky." Little Critter and Little Sister are at a costume party as well. On each two page spread, they meet a friend in costume. The friend is pictured at the far right of the page on top of a LARGE flap. When you lift the flap up, their costumed friend takes off part of their costume so you can see which friend is under the costume. 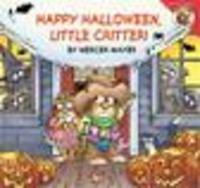 It is a sweet entertaining book for Little Critter fans.